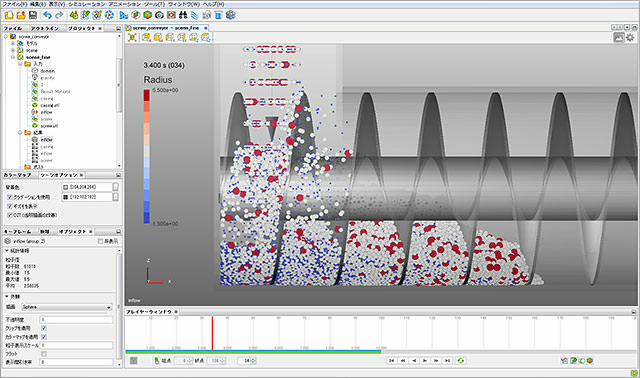 Granuleworks simulates the movement of powders, empowering you to expedite your engineering process. Instead of relying on expensive and time-consuming experiments for all your analysis, you can count on our innovative software to streamline and enhance your methods of collecting data. Granuleworks grew out of Particleworks, the leading simulator of moving fluids. Like Particleworks, Granuleworks uses cutting-edge, particle-based algorithms to simulate movement rapidly and accurately. Particleworks has been recognized by NVIDIA as a program that harnesses the power of NVIDIA’s CUDA, a GPU parallel-computing platform and application-programming model that offers overwhelming performance gains in parallel computing.